Success didn't come easy for three best friends from the streets. And now dangerous choices and reckless desire will push their bond to lethal limits. A stint at the Branch Avenue Boys' Youth Institute taught Ricky, Derrick, and Jamal to unite when the going got tough. But fallout from their very different adult lives is making loyalty something they can't afford--and igniting drama they never saw coming . . .
Arrested during a city-wide raid, Ricky must inform on D.C's drug king pin, Dolla Dolla--and find the woman who loved and betrayed him. But revenge is a slippery slope that's putting a target on his back . . .
Institute head Derrick hopes reuniting with his fiancée will keep his secret affair with a colleague in the past. Unfortunately, one of his students is hiding Dolla Dolla's major stash--and Derrick's attempt to do the right thing will have shattering consequences . 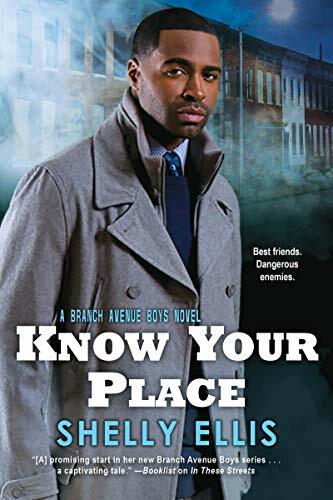 . .
Jamal's backroom deal with D.C.'s corrupt mayor is giving him everything he thought he wanted: money, power, and women. But murder and the unexpected return of the woman he's always loved is getting him in way over his head. His attempts to manage the damage will put him and his friends at killer odds to be the last man standing . . .
Honey Magnolia PR is a participant in affiliate advertising programs and earns a small commission on purchases from links on this site.